to everyone who has made it possible that THE FAMILY has run next to Berlin and a lot of german towns also in Bucarest, Bratislava, Brussels, Lucerne, Lyon, Moscow, Reykjavik, Riga, Rio de Janeiro, Toulouse, Vlinius, and that I could take part at some premieres! It’s still difficult to order all these multitude, overwhelming and very emotional impressions from that tour! I met so many wonderfull people in all these different countries. And I’m proud that everywhere I went, THE FAMILY was even with it’s heavy story a catalyst for their own stories. 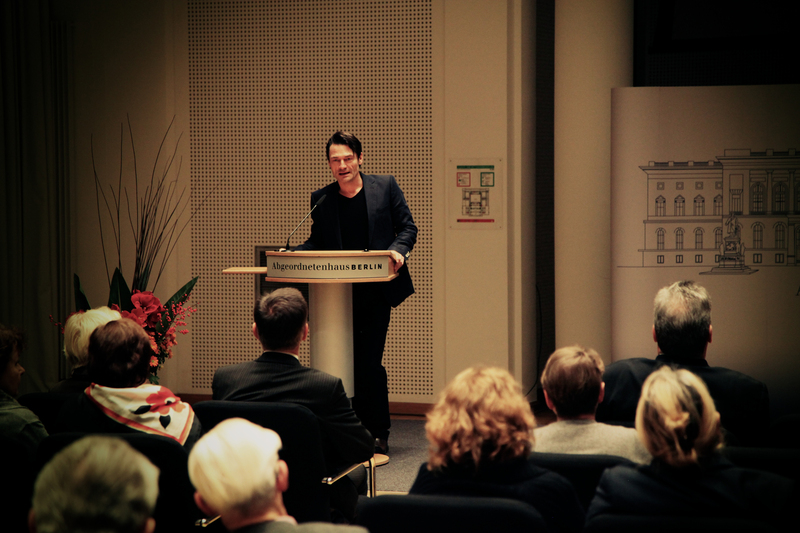 It was an honour to come back after this first tour and present DIE FAMILE with The President Ralf Wieland in “Berlin’s Parliament”.